Pyramid Software Solutions offers web design services for a variety of applications. We support many back-end and front-end technologies to support any functionality your company's website may need. Below are our supported back-end technologies that operate server-side and interface with the database. Microsoft .NET MVC is a powerful framework that expedites the development of views (HTML pages) based on database schema. Its 'Razor' view engine makes translating database data to a visual interface very convenient. Like desktop .NET development, Entity Framework can be used to interface with the database. A .NET MVC back-end is a particularly good choice if your company plans on a desktop application component (for example, an administration application) since code can be easily reused between MVC and desktop .NET applications. Ruby on Rails is a framework that accomplishes similar design concepts as .NET MVC, but is open source. It is an MVC framework with similar scaffolding features as .NET MVC and uses technologies such as HAML to bring database content to your HTML pages. Node JS is a slightly different framework that doesn't necessarily focus on displaying data like .NET MVC and Ruby on Rails, but rather focuses on client/server interaction and data streaming concepts. It is a particularly good choice if your web application is heavily interactive and requires communication between the client and server. By using the 'Socket.IO' framework with Node JS, bi-directional communication can be accomplished quite conveniently. We aim to stay current with the many front-end technologies that are constantly evolving. We will utilize the technologies below to not only create the desired aesthetic for your company's website, but to also keep front-end code organized, compact, and reusable. WebGL is a relatively new technology that allows 3D graphics to be displayed natively in both mobile and desktop browsers. This is a powerful technology that is not yet supported by many web designers, but can allow for amazing web design concepts that put your company's website a level above the rest. 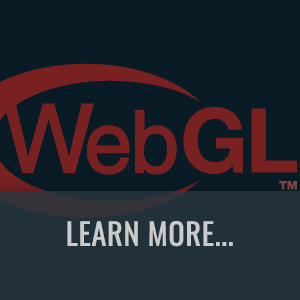 Be sure to visit the article below to learn more about what WebGL can do. Further information and examples are also listed in the next section. CSS3, HTML5, and jQuery are all standard technologies that any developer will need to create a modern website. We will utilize these technologies to keep your front-end design clean and manageable, and ready for any outside maintenance your company may require in the future. Further, Angular JS is a tool we can use to separate business logic from your views. This may not be necessary if we decide to use an MVC back-end. We will evaluate your web design goals and decide if Angular JS, a back-end MVC framework, or a combination of both are best for your website. We support mobile app development for both iOS and Android. If your company requires an app to suplement a website, we can develop an API that both the website and app can use, thereby minimizing code duplication. This way, much of the business logic and data access operations can be abstracted into a web service that both applications can use. Xamarin is a Microsoft framework that allows native apps to be written in C# for both Android and iOS devices. This is the most effective option if your company requires an app for both operating systems. As of now, we only support app development in this environment. If an app is required for your development project, we recommend web development in the .NET MVC framework so that we can re-use viewmodels, effectively enabling us to focus mainly on UI design rather than additional code development. This can reduce development time, and thus the cost of your project. We are now offering ThreeJS / WebGL development to provide clients with the option to create very unique websites that are sure to catch visitors' eyes. WebGL technology allows 3D graphics to be displayed natively in all of today's major desktop and mobile web browsers. This allows for design possibilities that have not been realistic until now. Very few companies have yet to utilize this technology, so working with us to incorporate WebGL into your web design is a great way to make your website stand out in a drastic way. WebGL scenes render immediately on mobile devices unlike video content which requires the user's permission before playing. This gives an opportunity to create immediately dynamic, eye-catching content that is not normally available on mobile devices. The powerful graphics engine of WebGL allows us to bring the latest and most advanced 3D rendering techniques to mobile and desktop browsers without the need for any plugins. This gives us the possibility to create interactive scenes like a 3D image gallery, or more subtle effects such as blurring, reflection, and refraction mixed with HTML content. View the WebGL examples on this page to see some of the possibilities. Here are some examples of widgets and background scenes developed by Pyramid Software Solutions. These can be modified, expanded, and personalized to fit your web site. These can even be integrated with your existing website. These design concepts allow for an opportunity to greatly improve the look of your site without a complete re-design. Of course, we can also work with you to develop custom widgets and scenes from scratch, specifically for your website. 3D gallery that can be used for images, news articles, or any collection of thumbnailed links. The gallery uses real-time reflections and can be mixed with regular HTML. 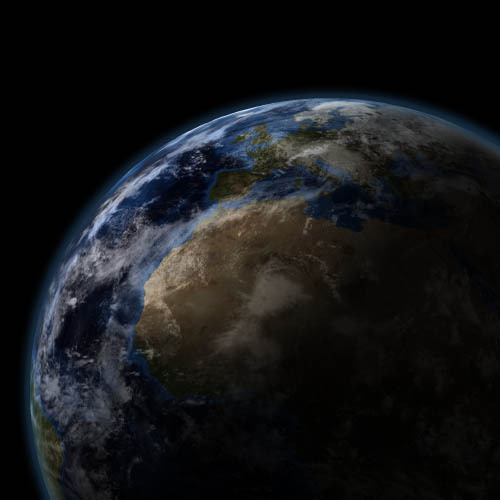 This is an example of a 3D Earth being rendered in real-time with WebGL. The example also shows the benefits of using real-time 3D content rather than video content. WebGL can be used for real-time video processing. 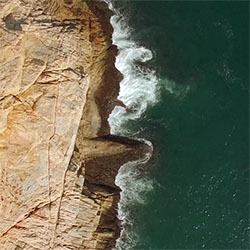 This example demonstrates this with a distortion effect each time the user clicks the video.